The 'Adid are mentioned in the Quran (24 times) as being the people to whom the prophet Hud was sent by Allah to guide them back to the righteous path of faith. 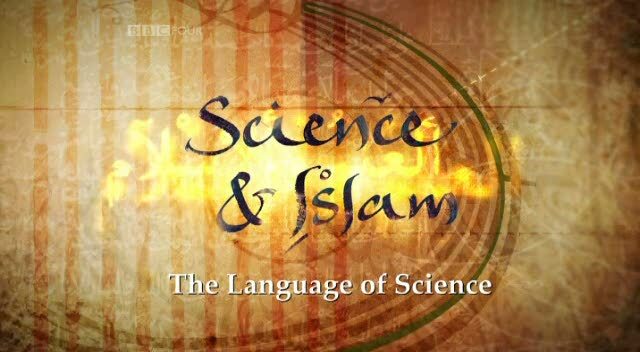 According to the story, the citizens did not heed his warnings and the town was destroyed by Allah in a great storm. The rulers of ʿAad included 'Ād ibn Kin'ad, the first leader of 'Aad, who lived some time between the 23rd and 10th century BC; Aldahn Khuljan, who lived some time in the 4th to 3rd centuries BC; and, according to legend, Shaddad, known to the Himyarites as the last leader of 'Aad, who lived in the 6th to 4th centuries CE. 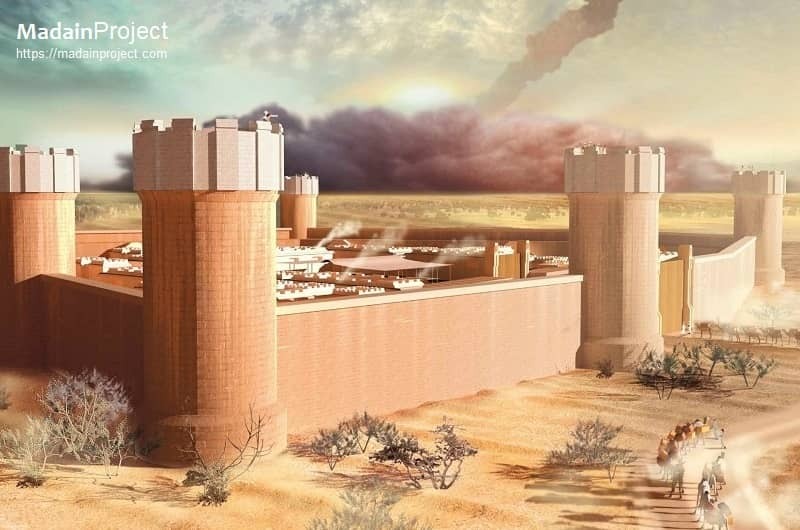 Artistic rendering of Iram of Pillars of Qom 'Aad, to whome prophet Hud was sent. Claudius Ptolemy's Geographos includes mention of the inhabitants of 'Aad's capital, Ubar. Some time between the 3rd and 6th century CE, the 'Aad state crumbled, in part because of a natural catastrophe that destroyed much of the township. The tribe's members, referred to as ʿĀdites, formed a prosperous nation until they were destroyed in a violent storm. 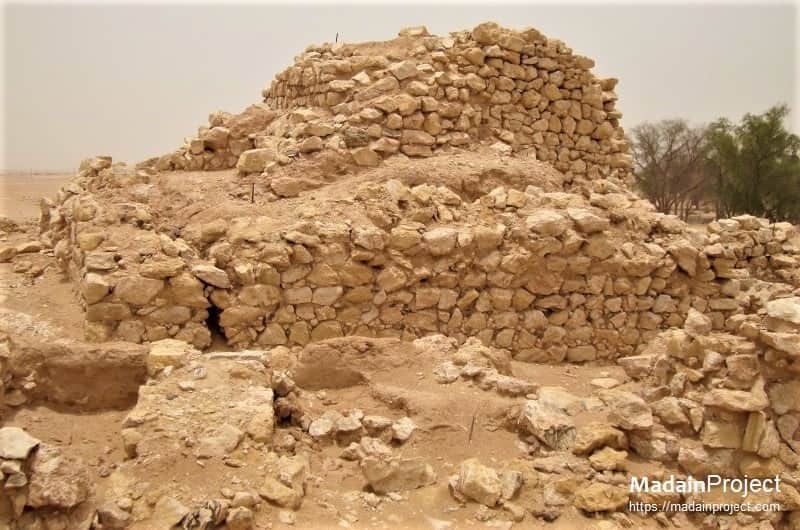 The remains of Ubar in the village today known as Shisr (الشصر) in Dhofar Region, Oman. The ruins found in Shisr are officially named Ubar. Archaeological excavations suggest this outpost was involved in the incense trade, meaning it may have been a sizable settlement. The ruins suggest there used to be a fort surrounded by eight walls with a tower at each corner, a description that matches the description of the legendary Ubar in ancient documents. ʿĀd is usually placed in Southern Arabia, in a location referred to as "al-ʾAḥqāf" (الأحقاف‎, "the Sandy Plains," or "the Wind-curved Sand-hills"). 'Ād ('Aad) was an ancient Arab tribe and a district in South Arabia that was led by 'Ad ibn Kin'ad. 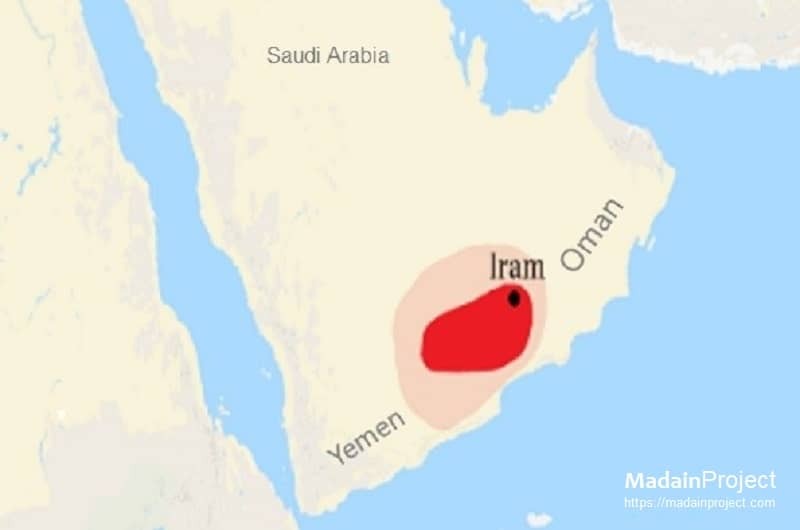 The ʿAad tribe settled in an area to the East of the Qahtan tribe and established the Kingdom of ʿAad in South Arabia sometime between 10th century BC and 3rd century CE.